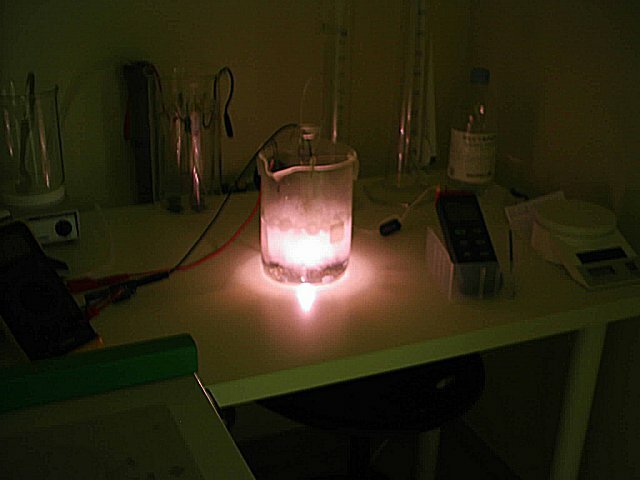 Confirmation of anomalous hydrogen generation by plasma electrolysis. Mizuno, T., T. Akimoto, and T. Ohmori. in 4th Meeting of Japan CF Research Society. 2003. Iwate, Japan: Iwate University. 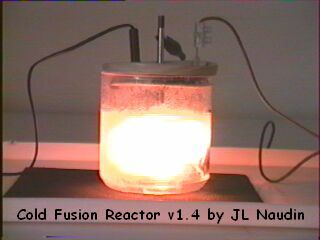 Abstact : A thermal energy extraction apparatus comprises an electrolyte bath (1), electrolytic solution (4), electrodes (2, 3), an atomic nuclear fission means (11), and a thermal energy extraction means (5, 6a, 6b, 13a-13e, 14, 23a, 23b). The electrolytic solution (4) is kept inside the electrolyte bath (1) and contains at least light water or heavy water. The electrodes (2, 3) are so arranged as to be in contact with the electrolytic solution (4) and include an anode (3) and a cathode (3). 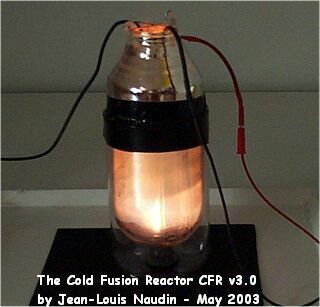 The atomic nuclear fission means (11) fissions atomic nuclei of the material constituting the electrodes (2, 3) by applying a voltage and a current to the electrodes (2, 3). The thermal energy extraction means (5, 6a, 6b, 13a-13e, 14, 23a, 23b) extracts heat medium (18, 19, 21, 22a, 22b) heated by the thermal energy generated by the fission of the atomic nuclei of the material constituting the electrodes (2, 3) to the outside of the electrolyte bath (1). 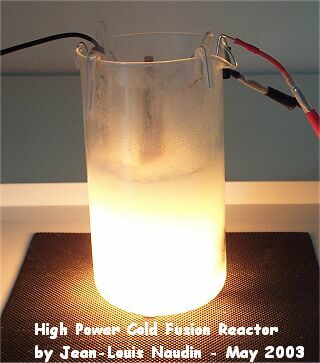 Abstact : A reactor for producing energy and neutrons by electrolytic reaction in a light- or heavy-water solution comprises a base made of a refractory metal and a metal layer formed on the base and active against hydrogen. 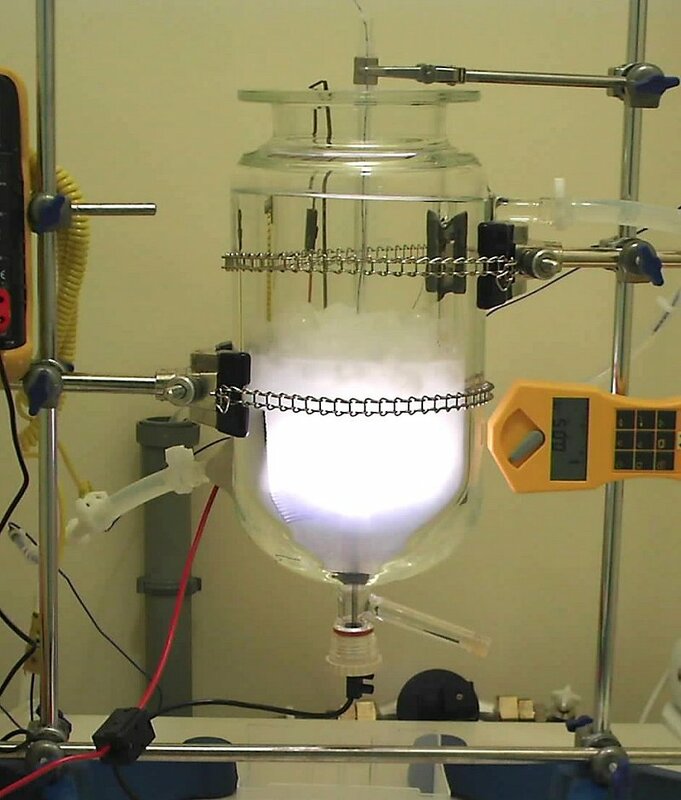 The reactor to serve as a cathode is immersed in an electrolyte together with an anode. 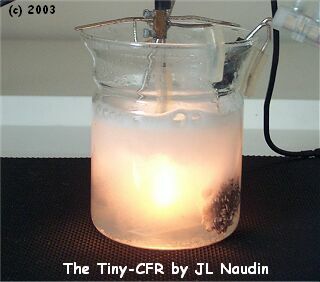 Current is made to flow between the cathode and anode to cause an electrolytic reaction. 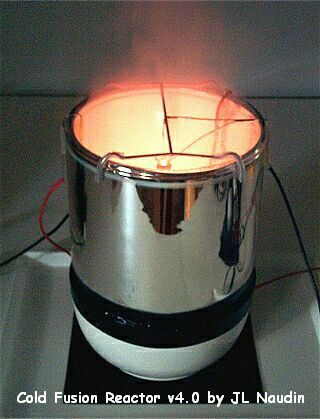 Thus, thermal energy and neutrons are produced.